The chorus from Sandy Hook Elementary School will sing "America the Beautiful" before Sunday's Super Bowl between the San Francisco 49ers and the Baltimore Ravens. The chorus features 26 children from the school in Newtown, Conn., where 20 first-graders and six adults were killed in a Dec. 14 shooting rampage. The performance will be part of CBS's pre-game show, and will be broadcast live. Alicia Keys will sing the national anthem. 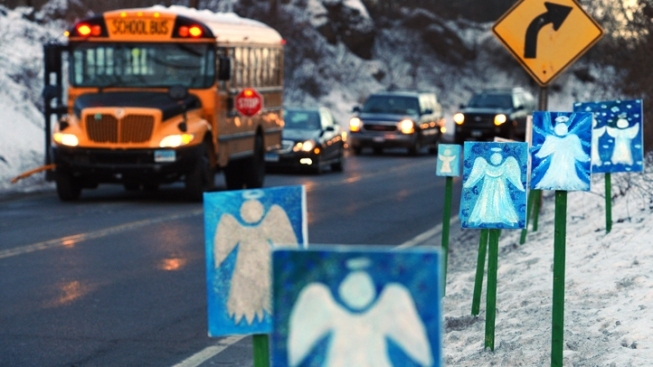 On Monday, the community announced the formation of the "Sandy Hook Promise." It comes as residents mark one month since the shooting massacre. Brynn Gingras reports.